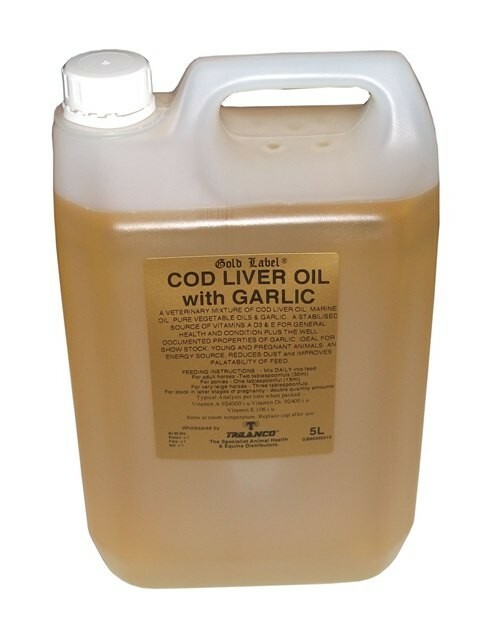 A mixture of cod liver oil, marine oils and pure vegetable oil, with the added properties of garlic oil. A stabilised source of vitamins needed for general health and condition. Ideal for show stock, young and pregnant animals. An energy source which reduces dust and also improves the palatability of feed. There are currently no questions for Gold Label Cod Liver Oil With Garlic for Horses - be the first to ask one!